On this Lübeck Haus Bookstores catalogue page are listed books for brewing beer. The beer brewing book titles include Brewing Beer, The Brewer's Apprentice, The Complete Guide to Growing Your Own Beer Hops, The Homebrewers Garden, The Homebrewers Recipe Guide, The Brewmasters Bible, Dictionary of Beer and Brewing, and Bavarian Lager. These books offered on this catalogue page are designed to give the reader a good solid background of knowledge on each topic. The books present this information in a clearly written manner usually accompanied with excellent photographic work. Ordering your books at Amazon.com through our booktore links is convenient, quick, safe, and easy. Beerstein # 199 out of 10,000 Made by THEWALT. Click on and browse for more German beersteins. Browse for your favorite German foods, cheeses, cakes, bread, and German wines. 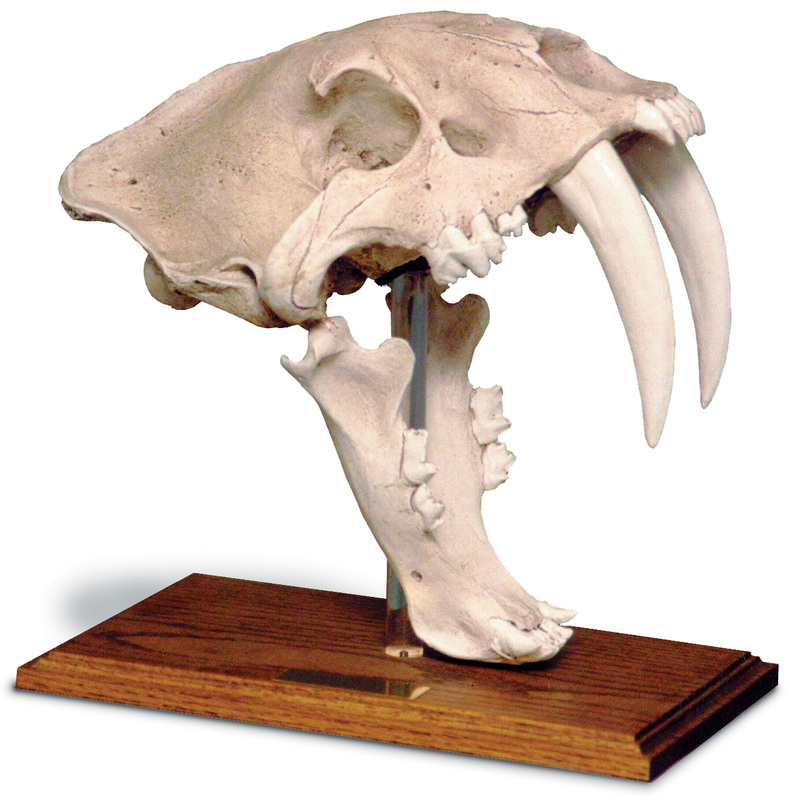 Smilodon californicus has been extinct for about 12000 years and is a widely recognized symbol of power and beauty. A Saber Tooth Tigers strength combined with its two lethal sabers made it a fearsome predator. This extinct skull is an exact replica measuring 13 in. Long 8 in. wide and 12 in. high and includes a solid oak display base for mounting in the attack position. The skulls are available in both the antique and tar pit finishes.Features. Ultimate power symbol. Exquisite detail. Molded from an original specimen. Rotationally cast. Use this Browser Boxes to find more books on brewing beer, growing beer hops, beer receipes, beer history, making sausages, browse any book category, or find any product at Amazon.com. This page was last updated August 12, 2018.